The GPS has a position accuracy between 5-15 meters. However the network connection can influence the accuracy. Is there a range limit for the device? Does it work world wide? Yes, anywhere in any country. As long as there is network connection (GPRS) the device can be tracked down. Is there an app for iOS, Android or Desktop? Yes, you can download the free app for iOS, Android phones or using the website for Windows and Mac computers. The app is free and compatible with all devices. Is there any monthly subscription needed for using the platform? No, unlike many other GPS tracker systems you can use our platform and app for free after your purchase. Depending on the signal interval (which is configurable through the app) you can use the GPS tracker continuously somewhere between 3-7 days. How much does it weights? The GPS tracker itself weights only 27 grams. Zero. Yes that's right. All orders are shipped for free. No matter which country and how many quantity. Which sim card should I use? The GPS tracker supports micro size sim cards from almost every telecom provider. You can use both pre-paid and subscription sim cards. Thanks to the extremely low data usage, around 50 MB per month, you don't need a expensive subscription. Pre-paid sim cards are perfectly fine. Supported networks: the provider must support 2G ( GPRS) network. For example, T-Mobile does not support 2G in some countries! Checkout method: the device sends a few kb's (kilobytes) of data per signal. Some providers charge you per used kb and some providers round the usage upwards, for example to 200 kb. Type of SIM card: our GPS tracker works with micro-SIM card. Most providers sell 3-in-1 SIM cards. These sim cards have all the three formats (normal, micro and nano). You can take the right size by pressing the sim card out. Yes. 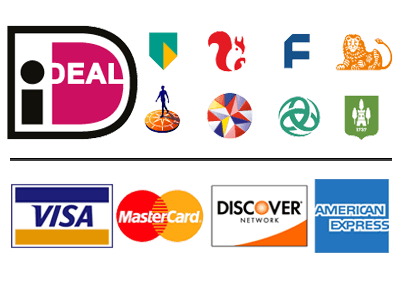 Thanks to our network of partners we are able to ship our products world wide. We do our best to send the orders within 48 hours after payment is done. Depending on your country, average delivery time is around 3-4 business days. You will receive a track & trace number in order to review the delivery time.